The Pro Football Hall of Fame was built to pay tribute to some of game’s most outstanding athletes, coaches and contributors. Since then, a total of 310 retired players and coaches have been elected into the Hall by media representatives for their contributions to the game. To engage its fan base, the Hall hosts events throughout the year and most recently, has begun to broadcast other events such as the Hall of Famer, Hometown Hall of Famer, and Enshrinees’ Gold Jacket Dinner, featuring members of the Hall. So when it came to the decision of how to choose a livestreaming platform, the Hall needed something that was not just reliable, but one that would take its production to the next level. “Welcome to the most inspiring place on earth,” says David Baker, president and executive director of the Pro Football Hall of Fame, to a 100-plus crowd at the U.S. Army Pro Football Hall of Fame Award for Excellence luncheon. 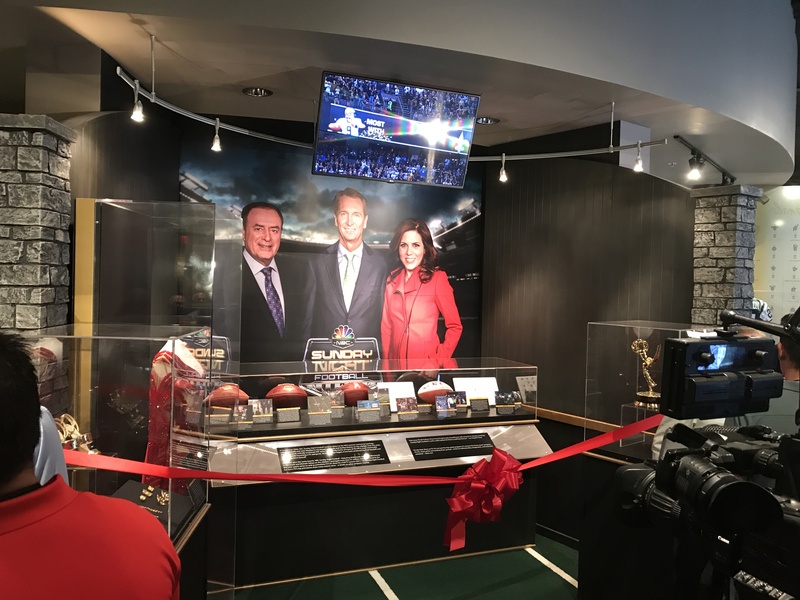 Established in 1963, the Pro Football Hall of Fame is located in Canton, Ohio, but with Livestream, football fans don’t have to travel to the midwest to be inspired by events taking place at the Hall. 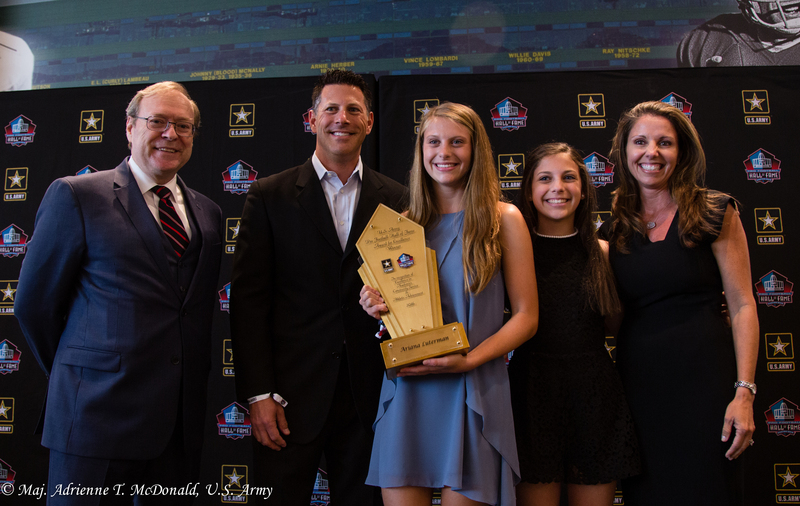 The U.S. Army Pro Football Hall of Fame Award for Excellence, which seeks to recognize 25 of the country’s top high school athletes, is just one of several events hosted and broadcasted live by the Hall. 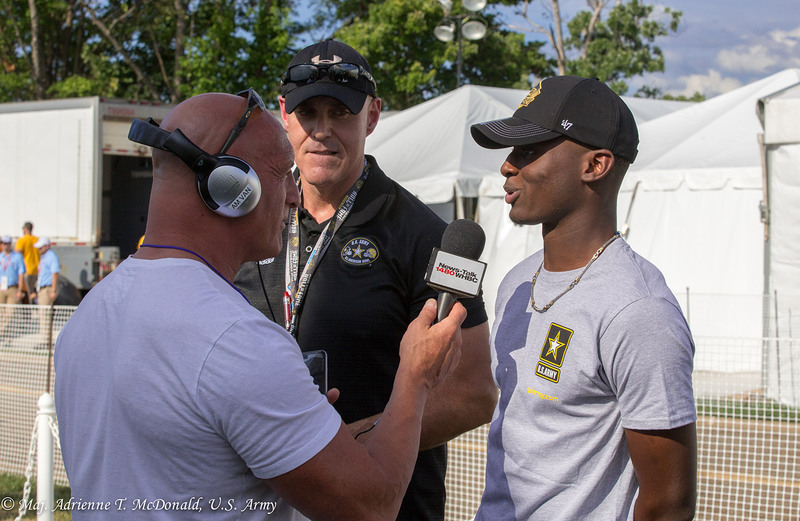 In 2017, the event was streamed via the Livestream platform to the Pro Football Hall of Fame’s website, Facebook page, and its Livestream account page, reaching over 3,600 viewers. George Veras had the initial vision to stream events at the Hall of Fame, and he considers the first livestream of the luncheon to be a resounding success. The 13-time Emmy-winning producer has produced hundreds of documentaries, television shows, musical and sporting events throughout his career. “We are very pleased with the technical platform and support system that has made it very easy to use and reliable,” says Veras, chief operating officer and executive producer, who has served at the Hall since 2009. Veras envisioned an audience that extended far beyond the walls of the Pro Football Hall of Fame, reaching fans across the country, and even globally. A vision now taking shape because of Livestream. “We’ve been doing a lot more live video this year, increasing the number of our multi-camera productions, and finding opportunities to make live video when we can, and just getting it out there,” says Veras. He attributes the Hall’s ability to do so to the reliability of the Livestream platform. “Livestream gives us that with its fast support response, reliability and ease of use. In picking a livestreaming platform, we were hypersensitive to having that tri-factor,” says Veras. Chad Reese, Director of Information Technology and a 23-year veteran at the Hall, was assigned the task of finding a livestreaming platform by Veras. Livestream first arrived on his radar in his conversations with an analyst from research firm Gartner. “We just kept coming back to Livestream when I was talking about my needs, and what I was looking for,” says Reese. #1 Reliability: Reese wanted his stream to simply work when he needed it to. “The hidden cost of reliability is huge – and it’s there with every other product. Everyone claims a huge uptime and reliability, but in the end, Livestream is the only product that has delivered for us,” he says. “I’m not losing sleep at night worrying about whether or not my livestream is going to work tomorrow. That is very comforting from an IT standpoint,” he says. Reese does not have the benefit of a dedicated staff to help manage livestreaming at the Hall, making the platform’s ease of use especially valuable. 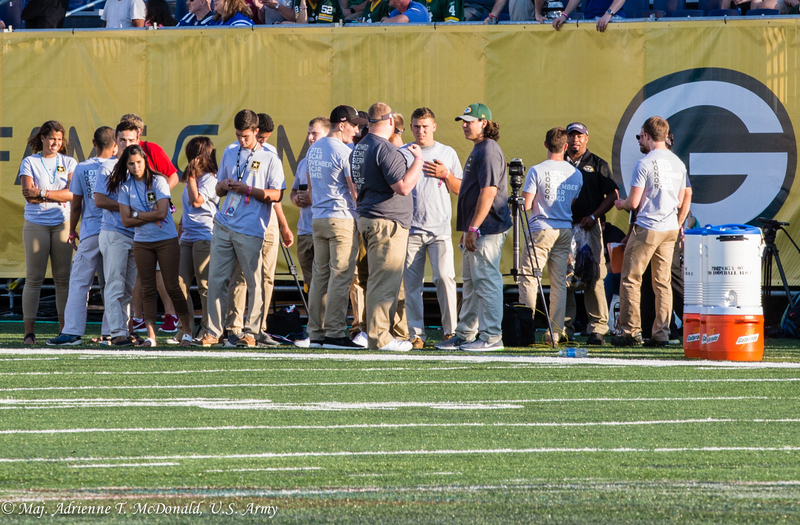 The organization often partners with local high schools to help manage its livestreams. #3 Privacy Controls: For the Hall’s Enshrinees’ Gold Jacket Dinner event, Reese’s team had the ability to password protect its livestream and limit viewership to just members with password and user credentials. “We’re in a room full of VIPs who paid a good amount of money for the opportunity to watch the event in person, as well as live and on-demand. That proved to be very popular,” says Reese, adding that future livestreamed events could even serve as a revenue generator for the organization. #4 Streaming to Multiple Destinations: Perhaps most impactful of all is Livestream’s Simulcast feature which enables the Hall to livestream to multiple destinations such as its website, Facebook, and Livestream.com. “This is so powerful because not only can we livestream on our website, we also get to livestream on Facebook, plus we now have a history and record of both. We don’t need to run two separate feeds – it is a one-stop shop,” says Reese. Since the Hall began streaming to Livestream and Facebook, it has seen significant growth in viewership and an increase in traffic of between 5,000 to 10,000 monthly visitors on its website. #6 Customer Service: In the live video industry where timing is paramount, excellent customer service is imperative to pulling off a successful livestream. “Every time I’ve called [Livestream], the people I’ve spoken to know exactly what they’re talking about. That’s huge. With a live event, we don’t have a ton of time to be transferred from person to person. Livestream always has someone who can answer my questions right away,” says Reese. There are two foundational elements required to implement a successful livestream, according to Reese. Interested in livestreaming your events?